One Savvy Mom ™ | NYC Area Mom Blog: Check Out The New Corvette® Furniture Line By Step2 ! Check Out The New Corvette® Furniture Line By Step2 ! So cool! Check out the new Corvette themed line by Step2[ pictured above]. 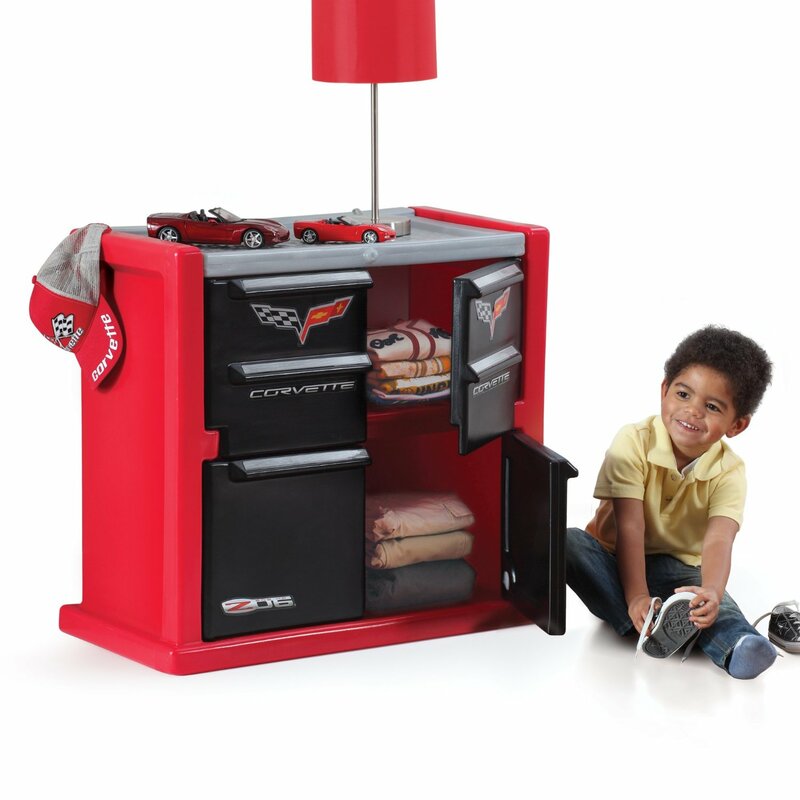 This all new line features a Corvette® Toddler to Twin Bed with Lights™, a Corvette Room Organizer™, a Corvette Chest™ and a Corvette Dresser™. The entire line is constructed of incredibly durable double walled plastic, and is made in the USA. 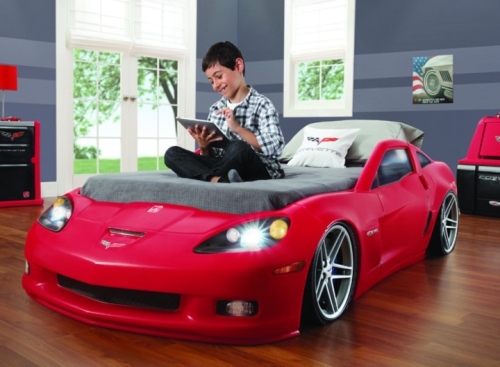 What kid wouldn't love to zoom off into their dreams every night in a bed shaped like a Chevy Corvette with working headlights?! The Corvette Toddler to Twin Bed is designed to grow with your child and adjusts to accommodate both a toddler size mattress and a Twin size mattress. The additional items in the Step2 Corvette line can either be paired with the bed to complete the look or can easily be added into existing decor [each piece in the line is sold separately]. Each piece in the Corvette line is a "GM Officially Licensed Product". The Corvette Dresser offers two shelves that are concealed by the four front doors, and is generously sized. This piece is great to store clothes or toys! The Corvette dresser is incredibly simple to put together and requires only a screw driver for assembly Assembly involves 11 screws and the application of the front decals; it only takes 15-20 minutes from start to finish. We absolutely love the durability and design of the fun new Corvette line by Step2!